Successful Sporty Woman Raising Arms Towards City Scape At Gijon, Asturias, Spain. Female Fitness Motivation And Lifestyle Concept. Royalty-Vrije Foto, Plaatjes, Beelden En Stock Fotografie. Image 116132047. 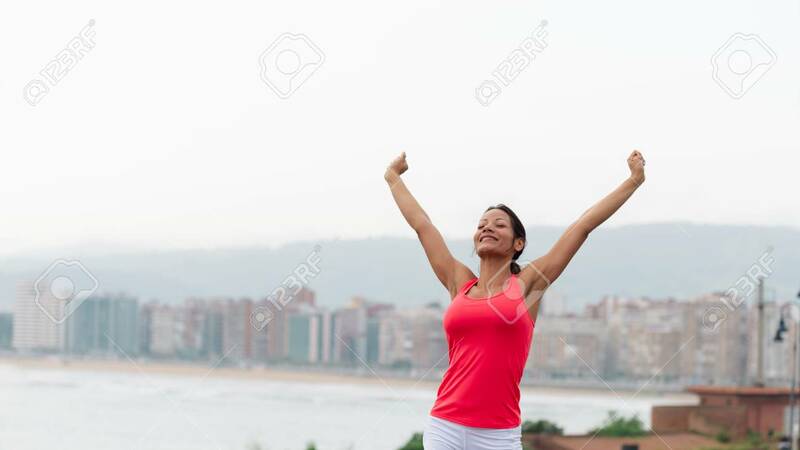 Stockfoto - Successful sporty woman raising arms towards city scape at Gijon, Asturias, Spain. Female fitness motivation and lifestyle concept. Successful sporty woman raising arms towards city scape at Gijon, Asturias, Spain. Female fitness motivation and lifestyle concept.